Welcome to the first podcast episode for the Cosplay Stitch and Seam! Join VFire and Pannon as they discuss their very first cosplays and how they got into this amazing hobby. 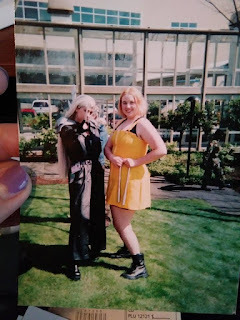 In this episode VFire (Mercedes) and Pannon talk about that one cosplay that ends up near and dear to your heart, if not also the one you dread showing at all. First up is Mercedes with her White Mage cosplay from the webcomic, 8-Bit Theater. It has been ten years since she made this cosplay, and as poorly as she constructed it, she was glad she made it. It launched her into a whole new world of crafting clothing, armor, and prop weapons. Look at this awesome group! On our way to Video Games Live 2008! One of the first ones Pannon remembers making was in 2001, Selphie Tilmitt from Final Fantasy VIII. 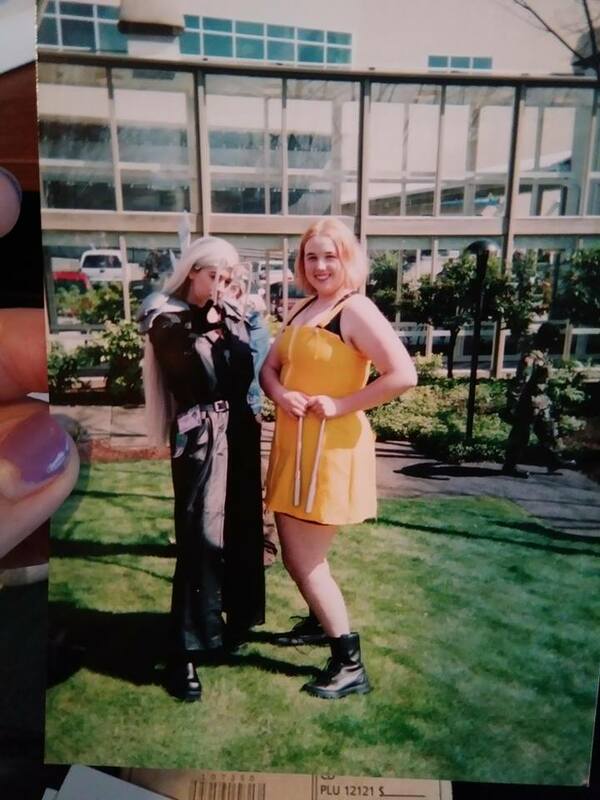 The photo is from SakuraCon 2003, so it survived for a decent run. The costume is made of fabric that is mostly plastic, and has a real functioning zipper! Wigs were not quite as easy to come by back in the day, so she dyed her hair and tried her best. The nunchaku were purchased and actual metal, surprising they let it into the con center! But Pannon learned a lot about fit and installing zippers, and even how to hem things. We all start somewhere! Very fun podcast! I've seen you ladies at different conventions. I've gone to panels and things. I've never cosplayed, but have always wanted to. What is your advice for taking that first step? I think the best advice is to pick a character that you like and just go for it. You can ask us questions any time about where to find supplies or even just chat about a character or series. We LOVE helping newcomers get into the groove. Depending on where you live there may also be groups that meet up for craft parties or places that host classes. The internet is also filled with tutorials on just about any cosplay crafting skill you want to learn. We would be happy to help point you in the right direction and see you flourish.